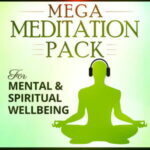 Can I build my own Mega Meditation Pack? Yes. We understand that there might be a download you don't want in the pack, and one that you do want in that isn't in there already. To create your own Mega Pack, simply add 12 downloads of your choice to the cart and the same discount will be applied. Please note that the discount won’t be fully applied until the 12th download is added to the cart. Click here to start building your own Mega Pack. 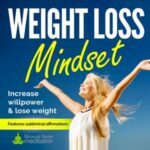 What format & quality are your downloads? We provide our music in .mp3 format, at 320 Kbps. This is the highest quality .mp3, and much higher than the majority of download stores. This not only means a better listening experience, but also more effective brainwave entrainment. Do you sell your music in CD format? We don't sell our music on CD format, quite simply because there isn't enough demand. These days people prefer to download music to their computer, tablet or phone, and if they want a CD version, they'll just burn one off. Demand aside, if we were to sell CDs, we would only be able to provide .mp3 format CDs, which not every CD player supports. This is because standard audio CD format would only enable us to fit one or two tracks onto a CD. A CDR is 74 minutes long, and we provide a 30-minute and 1-hour version of every track; so we couldn’t even fit those two versions of the one track (product) on a CD for you. However, if you have a CD burner drive on your computer, you are more than welcome to create a CD yourself. 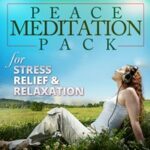 What sounds/music do your meditations contain? Our music contains calming meditative music and/or natural ambience We pride ourselves on creating a composition that complements the desired brain state and is pleasurable to listen to. To assist in achieving this, we tune our music to harmonise with the binaural beats frequencies underneath the track, so as not to cause dissonance (lack of harmony) between the two. Each of our product pages contains a 1-minute sample of the music for you to listen to. Simply click here to go to the store, then click on a product to open its page, and press play on the player at the top of the page. How often can I use the music? We recommend not more than 3 sessions per day to start with. Select a routine that complements your desired goals. For example: you might choose to listen to Zen Focus while at work (around 10-11am), Chill Pill to relax when you get home to relax and de-stress, and Deep Sleep in bed while reading a book. What headphones should I use? The large majority of everyday headphones will be fine, including the ear buds that come with Phones and mp3 players. However, closed back headphones are most preferable, as they block out external sound and give you a more “in-head” experience and create less distraction. We don't advise using bass boost or any other EQ enhancement. Noise cancelling headphones are generally fine, because they cancel out external sound not internal sound within the music. There may have been some issues with the very early models, but newer, higher-end models like Bose are very efficient. On some models you can turn this feature off, so if you can do that you might like to test with and without this feature. If you are in the market for a new pair of headphones, you can click here to read our buying guide.